Designed after the chests favored by seafarers, the Captain’s Chest is a celebration of utility. 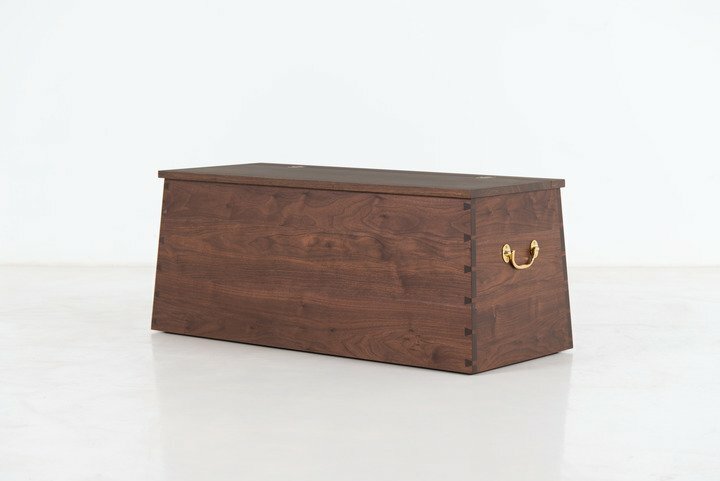 The dovetailed exterior of the chest conceals an interior that’s designed to hold and organize a voyage worth of belongings. 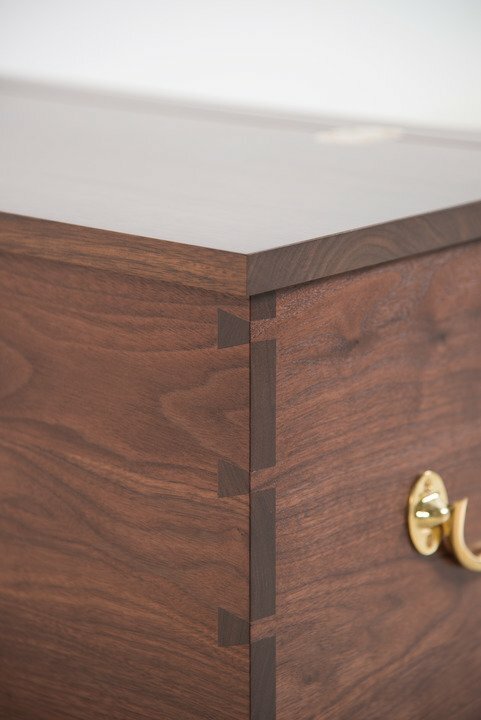 With handiwork of the craftsman revealed in a visible dovetail joint, ornamentation is derived from function rather than embellishment. 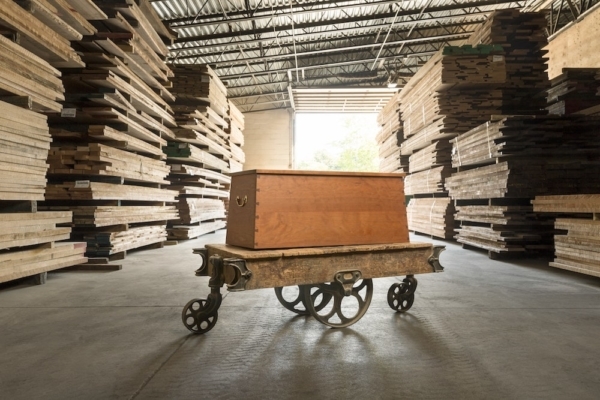 The Chest derives its shape from the original, with flared sides and a recessed cedar bottom that allows for easy stacking – and inhibits the activity of unwanted pests. The Captain’s Chest could pass for an original, with flared sides and a recessed cedar bottom made for stacking in close quarters. The exterior shows the finest work of our craftsmen, with dovetailed edges that interconnect to exacting specifications. Comprised of grain-matched hardwood planks, the chest is notable for its raw materials: the wood is integral to its beauty. 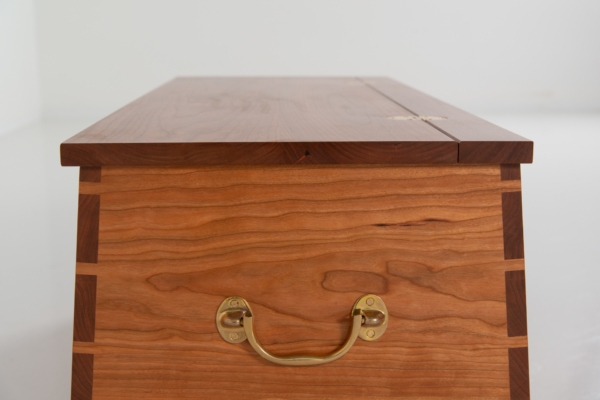 Accessed via a hinged wooden top that extends beyond the boundaries of the case, the interior of the Captain’s Chest is spacious. 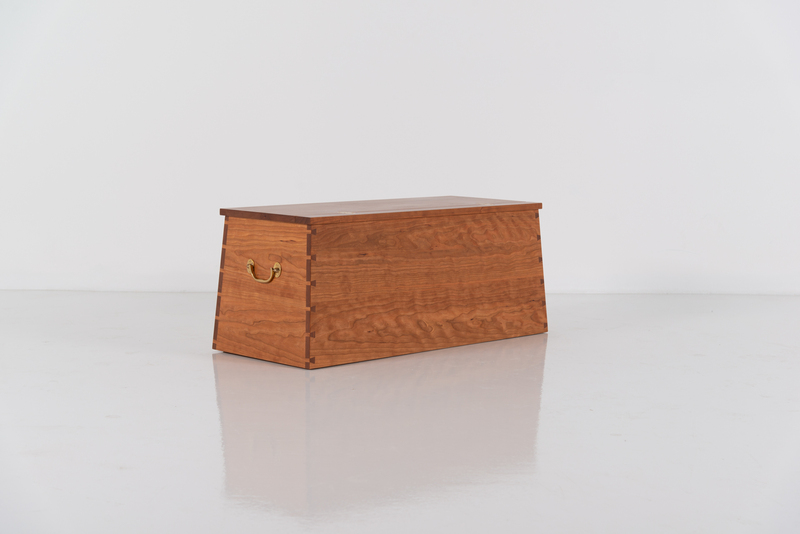 Offering room for storage of seasonal apparel, bedding or dining linens, its cedar base naturally impedes the work of hungry moths. What’s stored in the chest will re-emerge unscathed, infused with the subtle scent of aromatic wood. 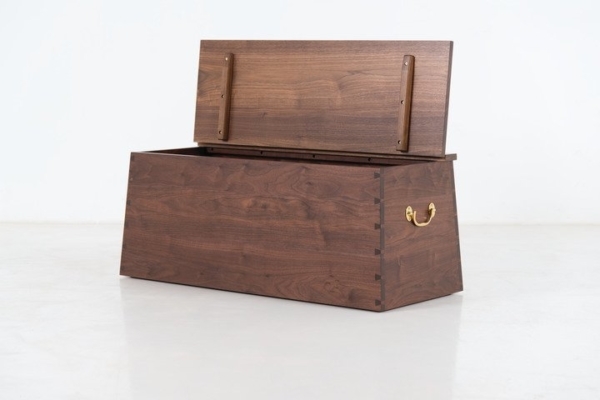 The chest is designed for easy movement, with brass handles situated at either end. 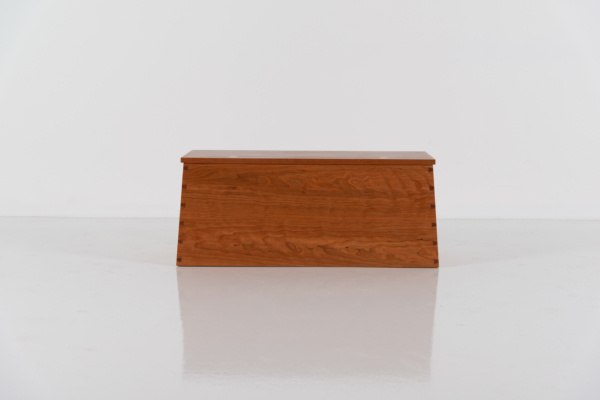 It is superbly adaptable, and works in concert with any range of bedroom, dining room or living room décor.